The Moto Guzzi V7 range will all use a new 750cc 90 degree V-Twin engine, mounted longitudinally in true Guzzi style. 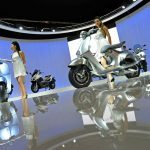 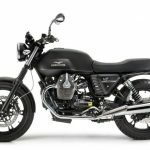 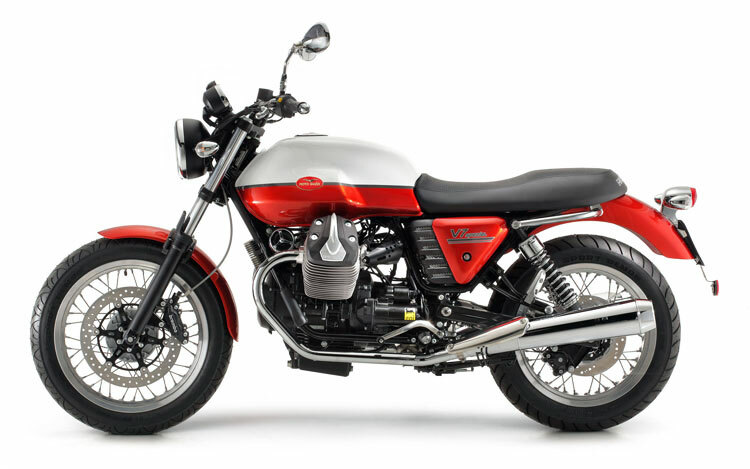 Detailed specs haven’t been released but Moto Guzzi claims improvements in power (with a 10% improvement), torque and fuel economy and fewer emissions compared to the previous V7 engine. The black model pictured is the base V7 while the two-tone model is the more upmarket V7 Special. 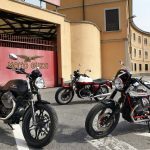 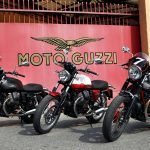 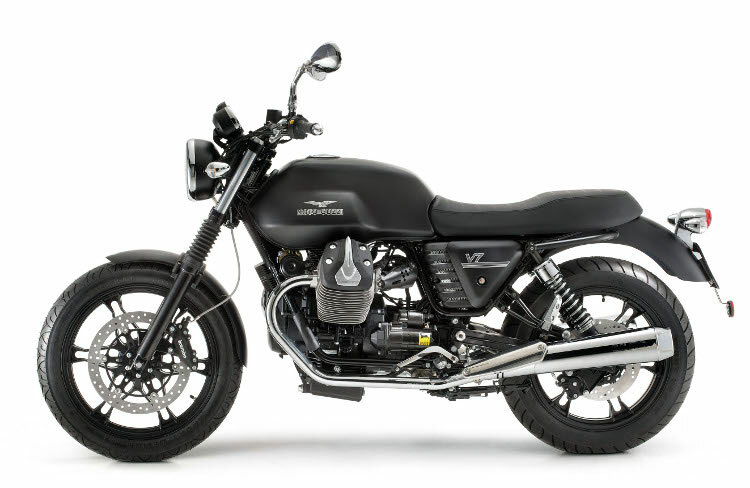 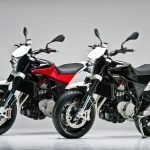 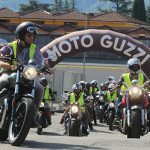 The V7 Racer was initially supposed to be a limited edition model but it sounds like Moto Guzzi will put it into regular production with the new engine. 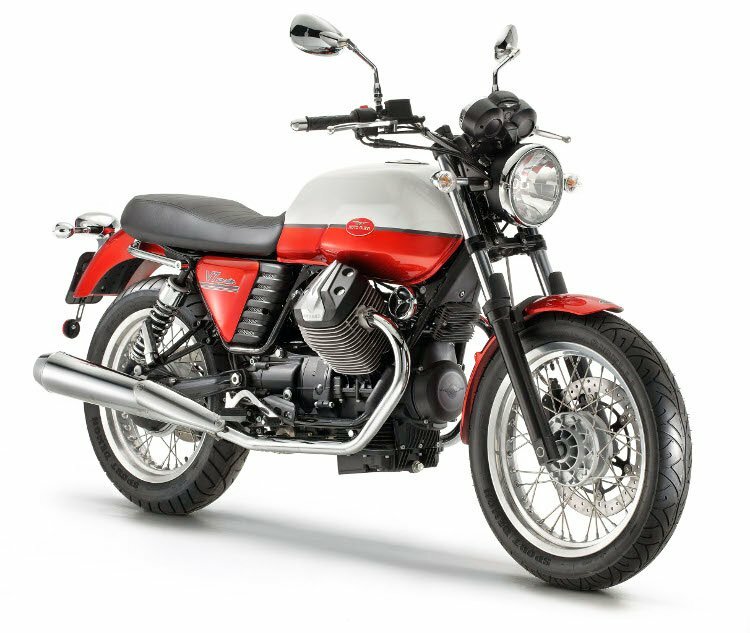 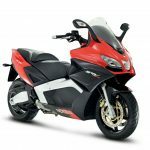 The V7 is equipped with six-spoke wheels and wears fork gaiters like the V7 Racer. 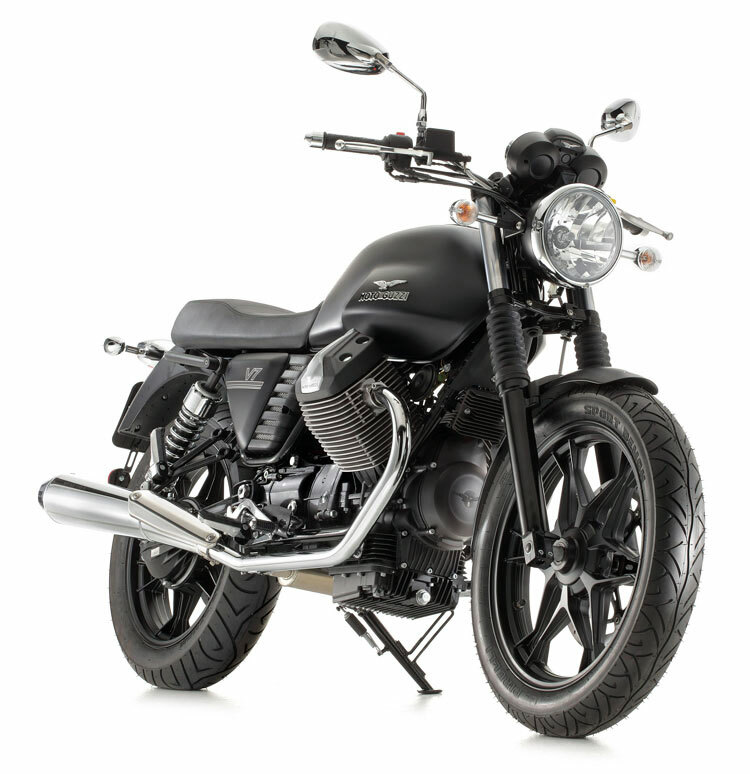 The V7 Special does not have the gaiters but it does sport wire spoke wheels. 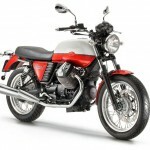 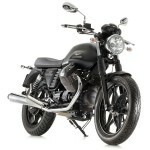 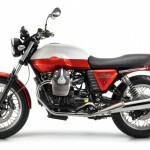 Check back for more details when Moto Guzzi presents the V7 models next week at EICMA 2011.